The European Union (Anti-Money Laundering: Beneficial Ownership of Corporate Entities) Regulations 2019 (S.I. 110 of 2019) (the “2019 Regulations”) have substantially come into force as of 22 March 2019. Part 3 of the 2019 Regulations (“Part 3”), which relates to the establishment and operation of a central register of beneficial ownership of corporate entities (the “Central Register”), will enter into force on 22 June 2019. An Irish incorporated company or other legal entity (a “Relevant Entity”), incorporated prior to the entry into force of Part 3, will be required to submit relevant information to the Central Register within five months of the introduction of the 2019 Regulations (i.e. by 22 November 2019). A Relevant Entity incorporated after 22 June 2019 shall commence providing information to the Central Register within five months of its incorporation. The 2019 Regulations transpose the provisions of the Fourth Anti-Money Laundering Directive (the “4MLD”) (as amended by the Fifth Anti- Money Laundering Directive (the “5MLD”)) and repeal the European Union (Anti-Money Laundering: Beneficial Ownership of Corporate Entities) Regulations 2016 (the “2016 Regulations”). The introduction of the 2019 Regulations, which expand on the legal framework introduced by the 2016 Regulations (see our previous briefings relating to the 2016 Regulations here and here), are part of a suite of EU and global initiatives that have been introduced in order to improve corporate transparency. In addition to the 2019 Regulations, regulations imposing a requirement on trusts to maintain a register of beneficial ownership have recently come into force in Ireland, as part of the transposition of 4MLD. A central register of beneficial ownership of trusts, once introduced, will be maintained by the Revenue Commissioners (for further detail please see our separate briefing). Our understanding is that separate regulations will be published providing for the establishment of a register of beneficial ownership of ICAVs, which will be maintained by the Central Bank of Ireland. Can the beneficiaries of a discretionary trust require the trustees to terminate the trust and distribute the trust property, in circumstances where a power to add further beneficiaries exists? In Rusnano Capital AG (in liquidation) v Molard International (PTC) Limited and Pullborough International Corp  GRC 011 (the “Judgment”) the Guernsey Royal Court has held that in Guernsey they can. In doing so, the court also provided a welcome clarification of the relationship between section 53 of the Trusts (Guernsey) Law, 2007 (the “Trusts Law”) and the so-called ‘rule’ in Saunders v Vautier. On 12 March, 2018 the European Commission presented its original proposals for a Directive and accompanying Regulation on the crossborder distribution of collective investment schemes with the objective of addressing regulatory barriers which it had identified as a significant disincentive to EU cross-border distribution. Proposed Regulation on facilitating cross-border distribution of collective investment funds (the “Regulation”). The Directive and Regulation aim to ‘coordinate the conditions for fund managers operating in the internal market and facilitate cross-border distribution of the funds they manage’ by filling in the regulatory gaps, aligning the notification procedure to the competent authorities, authorising ESMA to develop new technical standards, improving the transparency of national requirements and ensuring national authorities can control AIFM’s pre-marketing arrangements, while all the while safeguarding investor protection. The Company had attempted to continue out of the BVI as a company incorporated under the laws of Cyprus. However, the procedures required by the laws of Cyprus to secure its incorporation there were not completed with the consequence that the Company was not incorporated in Cyprus. In the meantime, as she was entitled to do, the BVI Registrar of Corporate Affairs, relying on a Temporary Certificate of Continuation issued by the Cyprus Registrar, issued a certificate of discontinuance in the BVI and struck the name of the Company from the BVI Register of Companies. In the result, at the time of the application to the Court, the Company was not incorporated or treated as incorporated anywhere. 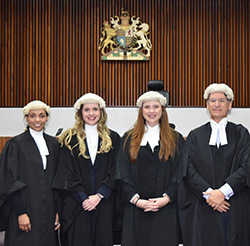 The BVI Commercial Court (Mr Justice Michael Green QC (Ag.)) held that the scheme of the Business Companies Act ("the Act") was to require three conditions to be satisfied before a company discontinuing under the Act ceased to be a company incorporated in the BVI. The first of these conditions is that the laws of the jurisdiction outside the Virgin Islands permit the continuation and the company has complied with those laws. He also held that the opening words of s.184 of the Act which contains those conditions imply a fourth condition: that the company is actually continuing in another jurisdiction. The Judge found that the conditions in subparagraphs (a) to (c) of s. 184(2) are cumulative and that they must all be satisfied, together with the preliminary condition, before a company will cease to be incorporated under the Act. In the circumstances, therefore, the Judge found that Company had not ceased to be incorporated in the BVI. The Judge went on to consider whether the Act provided a mechanism whereby a company struck off in the course of a discontinuance might be restored to the Register of Companies. He was persuaded that section 217 does give power to the Court and to the Registrar to restore a company in such a case and, accordingly, made an Order rescinding and declaring void the Company's discontinuance and restoring the Company to the Register. The Minister of Finance has issued a notice, on 28 February 2019, further extending the deadline for all Bermuda companies and partnerships (unless exempted) to establish such a beneficial ownership register (if necessary, verify and update the same) and make the necessary filings with the Bermuda Monetary Authority from 28 February 2019 to 30 April 2019. The team at Walkers Bermuda is here to help. Walkers Bermuda has a detailed understanding of the applicable legislation, and is providing assistance to clients on all aspects of the new beneficial ownership regime.